Discussion of article "Mini Market Emulator or Manual Strategy Tester"
Here are the main actions that can be performed by the emulator. Only two orders in different directions can be placed: buy and sell. 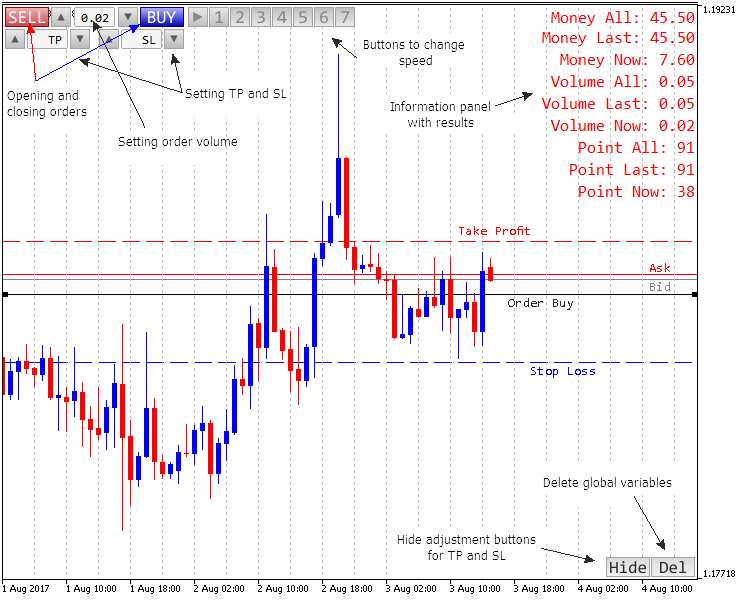 It also supports setting of stop loss and take profit before setting the order and its volume. Once the order is placed, it can be modified, and its stop levels can be dragged. There are only seven modeling speeds, they can be divided into three groups. The first is "jewelry", it involves modeling based on generation of ticks from the data of minute timeframe, almost like in the Strategy Tester. 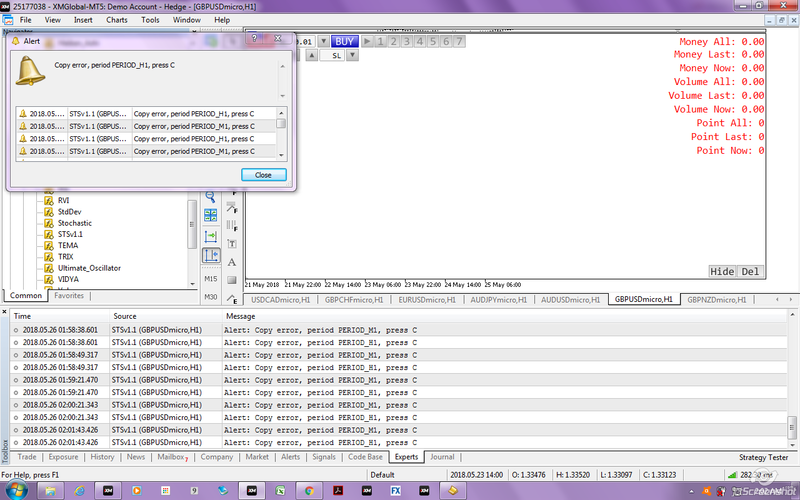 The second one considers the minute data, builds without generation (this mode is faster but less accurate). The third mode is the fastest: one candle per second is built, regardless of the timeframe. The current trading information is provided: profit, number of points and volume. 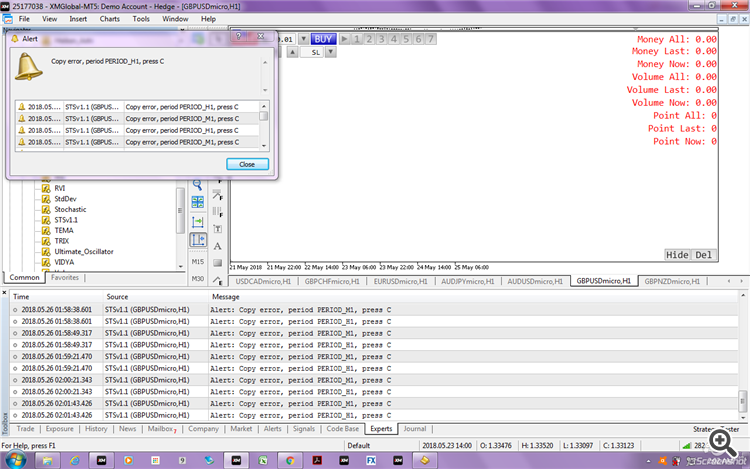 The data are given for the current and past orders, as well as the general trade from the beginning of emulation. All standard graphical objects present in the terminal are available. 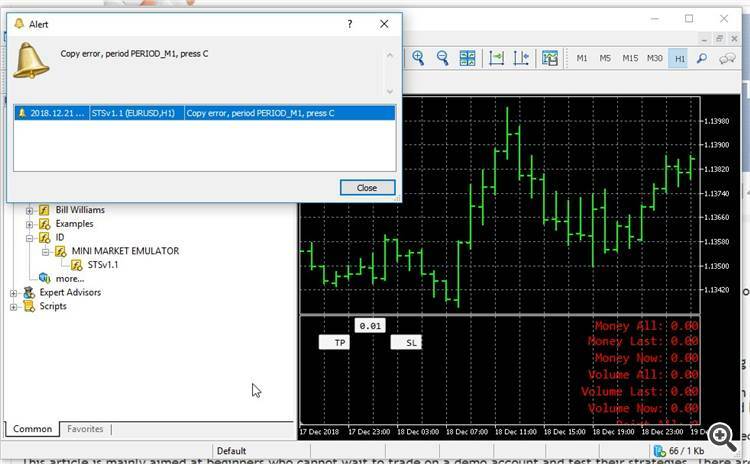 All standard timeframes are supported (switched by the buttons of the terminal panel). Hello. The indicator copies historical data, but they are not always loaded in the MT5. Try using the date closer to the current date, for example 01/01/2018. If the problem goes away, then the point is this. I tested this indicator and I have the following error. Hello. The indicator copies historical data, but they are not always loaded in the MT5. Try using the date closer to the current date, for example 01/08/2018. If the problem goes away, then the point is this. Is there any way to have the MT4 version? I did not write on MT4. But maybe someone will write.